Were you able to guess the place and year of today’s photo? 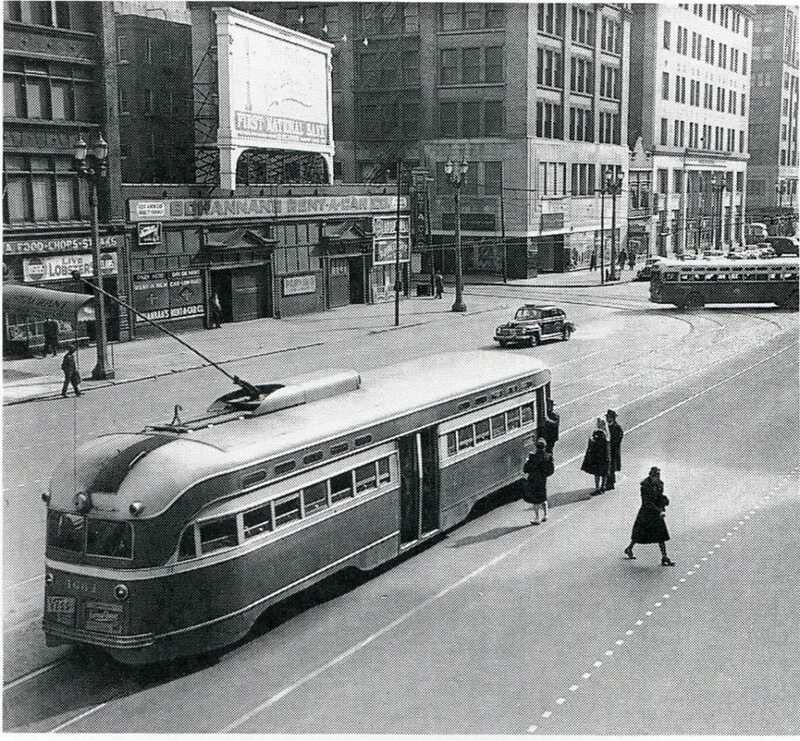 Today we view streetcars, cars and buses motor down 12th street (now called Tucker Boulevard) near the intersection of Locust street on February 19, 1944. That was the year Metro-Goldwyn-Mayer released that film we all love, Meet Me in St. Louis. Guess what else happened right here in St. Louis that year? Oh, just a little thing called the World Series that featured not one, but BOTH St. Louis teams, the Cardinals and the Browns. The Cardinals denied the long-suffering Browns their first World Series win by spanking them 4-2 to win the first and only “Streetcar Series.” Quite a year for St. Louis, huh?. Tucker (12th st.) and Locust, looking south. 1947. Probably a 15 Hodiamont about to turn left onto Locust St.